examples of groups of HIV-infected individuals who control their infection or disease in the absence of drugs, and (iv) the case studies that have driven the field of cure research. What is being learned from these cases, as well as from studies of natural HIV control models, will continue to contribute to the ever-expanding “toolbox” of strategies being evaluated for cure. It was concluded that HIV cure should remain a high priority goal for research, as attaining the more feasible outcome of “functional cure” or remission (natural control in the absence of antiretroviral drugs following such an intervention) or the very much more challenging possibility of eradication cure (complete elimination of all replication-competent virus), would have enormous individual and public health benefits. 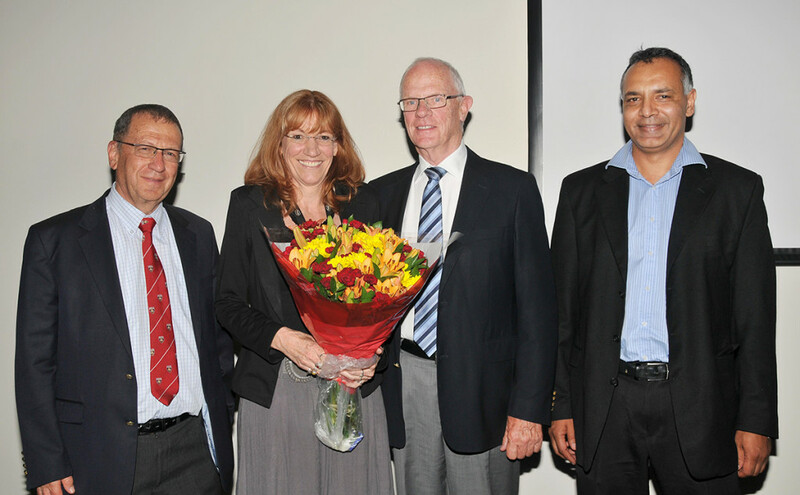 Prof Tiemessen heads the Cell Biology section within the Centre for HIV and STIs at the NICD, and holds the DST/NRF Chair of HIV Vaccine Translational Research at the University of the Witwatersrand. Her research into HIV cure and HIV vaccines focuses on understanding the human models for study of natural protection from HIV infection (to inform preventative vaccines) and variable resistance to disease progression in HIV-infected individuals (to inform strategies for remission/cure).